If you’re weighing the pros and cons of carpet versus hardwood, we feel your pain. On one hand, carpet is comfortable and affordable, whereas hardwood requires a hefty up-front investment. On the other hand, hardwood floors are arguably more elegant and classic, and they certainly outlive carpet. So, which is the right choice? If lifetime cost, beauty, and durability are what you’re after, it’s got to be hardwood! Here are some reasons why we vote for hardwood over carpet in most scenarios. Hardwood Floors Last (A Lot) Longer. The main thing that hardwood floors have that carpet doesn’t have is the ability to be refinished over and over again. Hardwood can be sanded down an infinite number of times over its lifetime, ensuring that you pay for flooring once and once only unless you decide to refinish your floors down the road. Even if your hardwood floors become deeply damaged or look like they’re too far gone, they can be sanded and refinished to a gorgeous, like-new appearance. The best quality carpet lasts only 10 or 15 years (and that’s with routine professionally carpet cleaning), whereas hardwood can last forever. Hardwood Flooring is Easy to Maintain. Hard-surface floors are generally easier to clean than carpet, especially when it comes to getting out hard-to-treat stains and odors. With hardwood, all you need is a good vacuum cleaner and a quality hardwood floor cleaner, such as Bona Floor Cleaner. 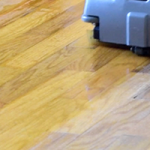 Investing in the best vacuum for hardwood floors can be included in your up-front cost, and if you go for a high-quality sweeper, you can use it to keep your floors in tip-top shape for years to come. Be sure to choose a vacuum with a dedicated hardwood floor brush that won’t scratch the surface of your flooring. Hardwood Floors are More Durable. The fact of the matter is that hardwood breaks down and accumulates permanent damage at a much slower rate than carpet. While carpet collects permanent stains, deeply set in odors and tears, your hardwood stays beautiful and can be revitalized easier. Hardwood is notoriously hard-wearing and, because it features a protective finish layer, it’s much more resistant to staining than carpet. Professional carpet cleaning is needed in most homes every 6 months to a year to fight stains, dust, and soil accumulation out, whereas you might only need to professionally clean your hardwood floors every 2-3 years. Hardwood Flooring Boosts the Value of Your Home. A study from the National Association of Realtors (NAR) found that over half (54 percent) of potential home buyers would spend more for wood flooring, saying they’d shell out as much as $2,080 more for wood floors. While installing brand-new hardwood may not have the best return on investment (ROI) in terms of flooring, since it has a higher up-front cost than many other flooring types, refinishing your hardwood floors can improve your home’s value at a lower out-of-pocket spend. If you know that you will put your home on the market at some point but that you will stay and enjoy it for several years, it’s worth spending more to install or refinish hardwood. 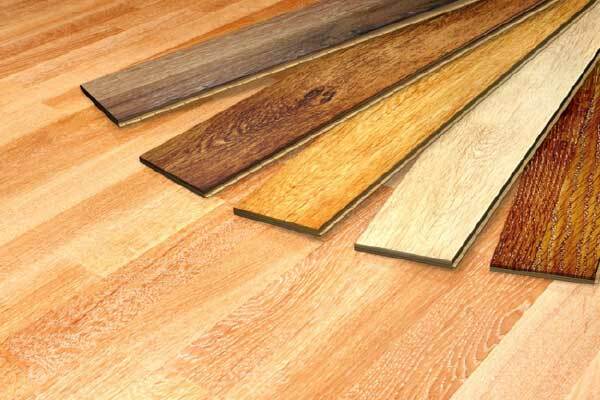 Hardwood Flooring is More Environmentally Friendly. It’s probably not something you think about much in terms of your home’s carbon footprint, but flooring actually has a big impact on the environment. Installing new carpeting often emits a large number of volatile organic compounds (VOCs) which aren’t great for the environment. Additionally, most carpets are manufactured with synthetic materials made of non-renewable petroleum-based products, dyes, and chemicals that help them resist staining and stay in good shape. These chemicals are harmful to the environment and may trigger allergic reactions in people and pets. Hardwood, however, is renewable and overall more eco-friendly than carpet. Be sure to choose an eco-friendly hardwood floor finish when installing new hardwood in your home. Hardwood is Totally In Style. Perhaps the most obvious reason to install hardwood floors in your home is because it’s one of those rare home décor choices that is completely stylish yet very unlikely to ever go out of style. Wood floors have been a staple in interior design for centuries and the market hasn’t slowed. If your goal is to decorate your home in a way that’s up-to-date yet totally timeless, hardwood is the best way to go. If you love the idea of having uniform flooring throughout your home, then hardwood is probably the better choice than carpet. 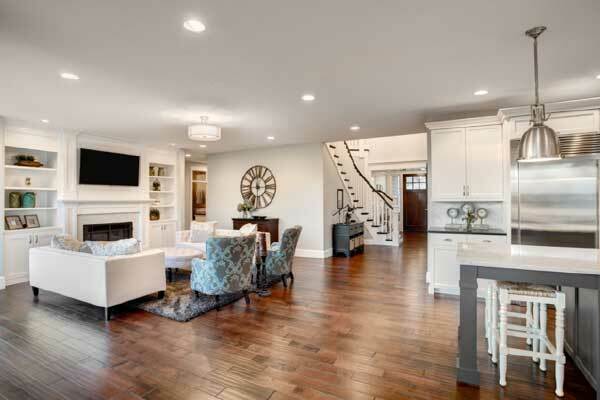 Because it’s much more durable and less likely to stain than carpet, hardwood can be installed in a wide range of environments, including the living room, bedroom, dining room, kitchen, bathroom and home office. This allows you to create a cohesive flooring design throughout your home that’s not broken up by room. Hardwood Floors Improve Air Quality. While a good vacuum cleaner can certainly help to remove pesky airborne particles from your carpet, it is much easier for allergens, dirt and dust to get trapped there compared with hardwood. Similarly, it’s generally easier to remove these particles from hardwood than carpet, where they tend to get trapped and recirculate. When you’re able to see what’s floating around in your environment, you’re much more likely to clean it up, and you often can’t see the gross stuff as well with carpeting. Hardwood Comes in Tons of Options. Last but not least, you’ll have a little bit more control over aesthetic when you choose hardwood instead of carpet. That’s because not only do you have your choice of hardwoods—oak, maple, cherry, walnut, birch and many more—but you also have your choice of finish, which comes in an endless variety of colors to match any design style or scheme. You can further tailor your hardwood floors to your taste with gloss level, the size of the planks and the pattern. As you can see, there are many reasons why hardwood is generally the better choice than carpet. It will last longer, perform better, and stay stronger than carpet. So, although it may have a higher up-front cost, hardwood can last 10 times longer than carpet and never goes out of style. It is often the smarter choice in terms of budget, style, and performance. Matt DiPerri serves as the co-Founder for eVacuumStore. 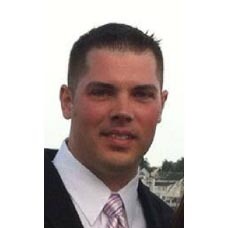 Matt oversees order processing and new product development from the Norwood, MA headquarters. As one of the co-Founders of evacuumstore, he is dedicated to helping customers achieve a happy, healthy, and clean home. When not working, he spends time with family, watching sports, or traveling.